It’s difficult to imagine driving before the age of traffic lights—that is, until you come across a dark intersection. Traffic comes to a halt, impatient motorists experience near-misses, and pedestrians have no safe way to cross the street. Proactively monitoring and maintaining traffic controllers can avoid these issues and keep everything running smoothly. While this level of monitoring used to require a lot of resources, new technologies have automated these processes and can help you save significant time and money. 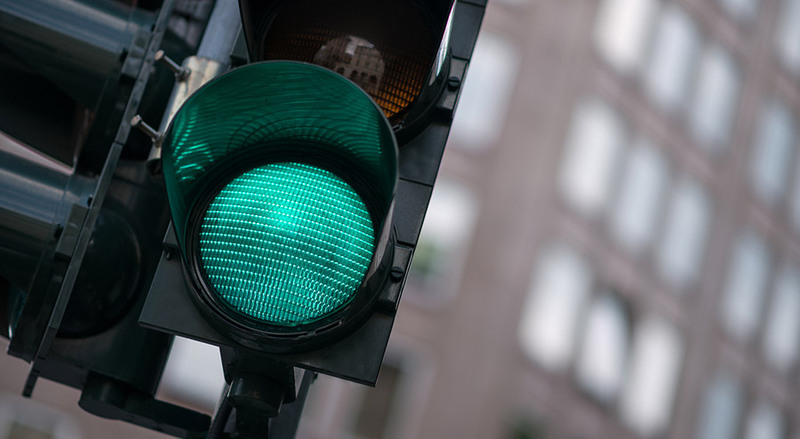 In this article, we will look at how new technologies are making it easier than ever to monitor and maintain traffic controllers, including some ways that might surprise you. 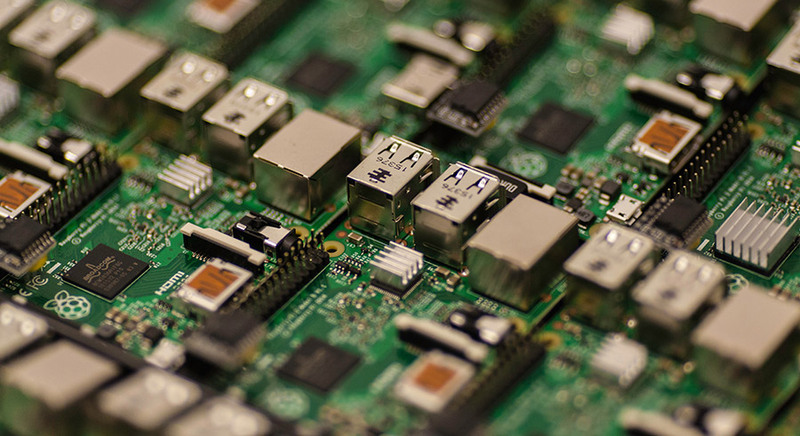 Traffic controllers have electronic components that are susceptible to heat, humidity, cold, and other natural elements. That’s why cabinets are equipped with internal fans and heaters that moderate the temperature, as well as seals that prevent water from leaking into the cabinet. The problem is that these systems can malfunction. For example, a broken seal can let in excess humidity or a thermostat failure can cause a cabinet to overheat. These are cheap and simple problems to fix, but failing to recognize them early on can lead to more expensive equipment damage over time. Proactive monitoring of heat, humidity, and other variables can help you avoid these problems. For example, our Field Monitoring Unit provides automated and continuous remote monitoring of cabinet conditions without the need for costly, regular on-site inspections. It even monitors battery back-up systems and alerts the proper personnel if the battery is running low before it becomes an issue during the next power failure. The Field Monitoring Unit is installed on your existing signal controller hardware and uses a cellular modem to transmit and receive data from the devices inside the cabinet. No traffic signal cabinet is immune to technical problems, and there are hundreds of different things that can go wrong. These malfunctions can lead to traffic jams and safety hazards for both motorists and pedestrians until they’re fixed. The solution to these malfunctions may be as simple as a reset, but it can be hard to diagnose and repair the problem without sending someone to the site. For example, is the problem a simple breakdown in communication, a technical issue with the controller, or a power failure affecting the entire area? Automated monitoring and remote resets can effectively address these problems. Our Intersection Status and Monitoring System automatically identifies when exception events occur, such as cabinet flash, detector failure, or dark intersections, and send an SMS or email to the appropriate personnel containing the exact location of the unit and the nature of the problem. Our intelligent cabinets also come equipped with a remote power cycling capability on the back of the unit. These outlet sockets can be remotely cycled when something malfunctions, such as a CCTV camera getting stuck or a network switch hanging. Technicians can resolve the problem remotely without having to visit the local site to flip a switch. You can’t improve what you don’t measure. It’s impossible to know if you’re improving or getting worse if you don’t track the average response times or repair times for traffic signal cabinets. And ultimately, you want to ensure that your response times are both appropriate, and ideally, improving over time. Monitoring cabinet doors provides this data in an easy and convenient way. Whenever a cabinet door has been opened, a signal is sent to the central system to track average response and repair times. These times can be tracked over a long period to see trends and ultimately make improvements. Our Intersection Status and Monitoring System comes equipped with the ability to monitor cabinet doors, and the data can be aggregated using our Glance Smart City Supervisory System. Imagine being able to see the status of every traffic controller in your city on a Google Maps interface. If something malfunctioned, you would be able to see exactly where it is and, exactly what failure occurred, letting you immediately dispatch a technician to fix the issue. There would be no more of the guesswork that leads to dark intersections or other dangerous problems. 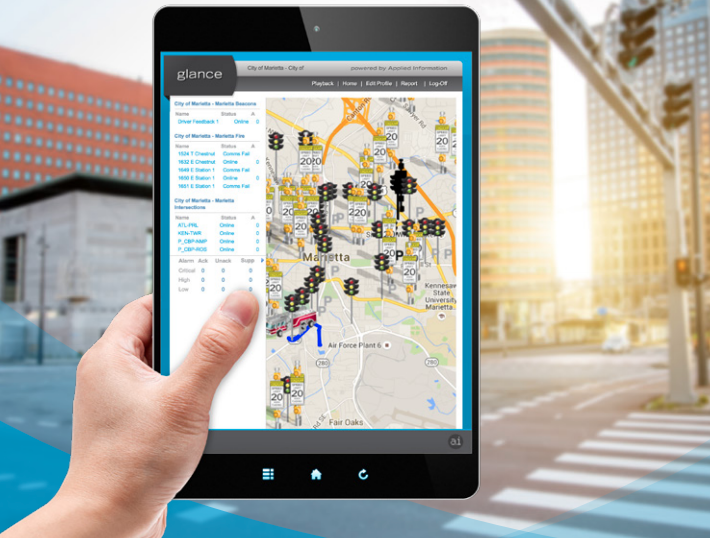 The Glance Smart City Supervisory System makes it easy to check on the status of all traffic controllers, as well as school beacons, emergency vehicles and any other traffic device that you want connected to the system. You can even aggregate data from these various devices to identify areas for improvement or assess the average response rates and times. We have covered a lot of ways to improve traffic controller monitoring and maintenance using the latest technology. Our technologies are fully integrated with our cloud-based Glance platform. With GPS, radio, and cellular communication built-in, they automatically locate themselves during installation and configuration and have redundant means for sending data to the central system. You can cycle power to the cabinets remotely and receive instant alerts for battery backups, fan stats, signal flashes, AC voltage, and more, as well as automatically generate reports to make monitoring easy. The units are easy to install, since they configure themselves, and over-the-air updates enable upgrades to preemption and priority technology, connected vehicle software, and other technologies as they become available. In other words, it’s easy to build on to these units to realize the benefits of a smart city without having to make a large upfront investment in a completely new system. If you’re interested in learning more about how we can help you improve your traffic controllers and embrace smart city technology, contact us today for a consultation. 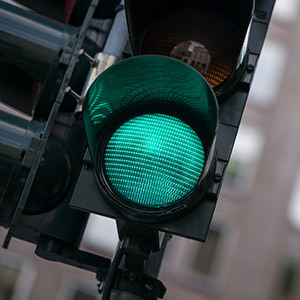 Download this bonus checklist about how to create traffic signal maintenance contracts.